JL Audio TR050-CT 1/2" textile dome tweeters can add focus and detail to the sound of your car's stereo system. Your music's high-frequency content plays an important part in creating a lively musical experience, especially in forming a strong stereo image. A well-placed set of tweeters can transform the sound in your vehicle. You can flush- or surface-mount the JL Audio TR050-CT tweeters in any convenient location. 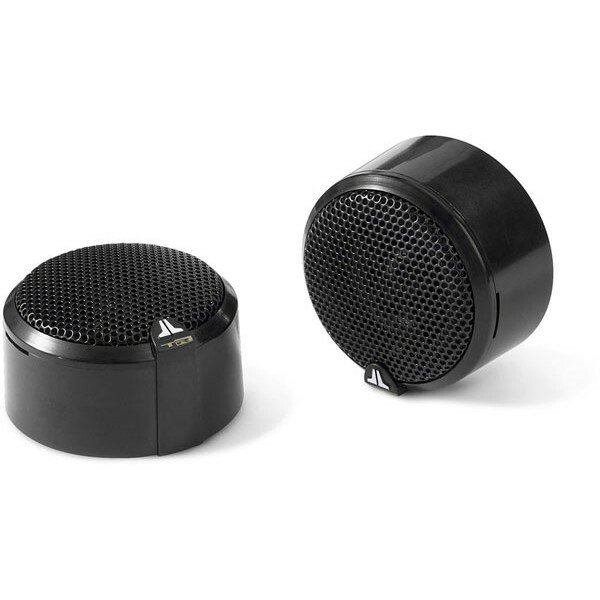 Ferrofluid cooling allows these tweeters to handle high-powered music and still maintain their smooth, clean sound. JL Audio includes in-line high-pass filters.